Discovered in 1900 by astronomer DeLisle Stewart and here imaged by the NASA/ESA Hubble Space Telescope, IC 4710 is an undeniably spectacular sight. The galaxy is a busy cloud of bright stars, with bright pockets — marking bursts of new star formation — scattered around its edges. 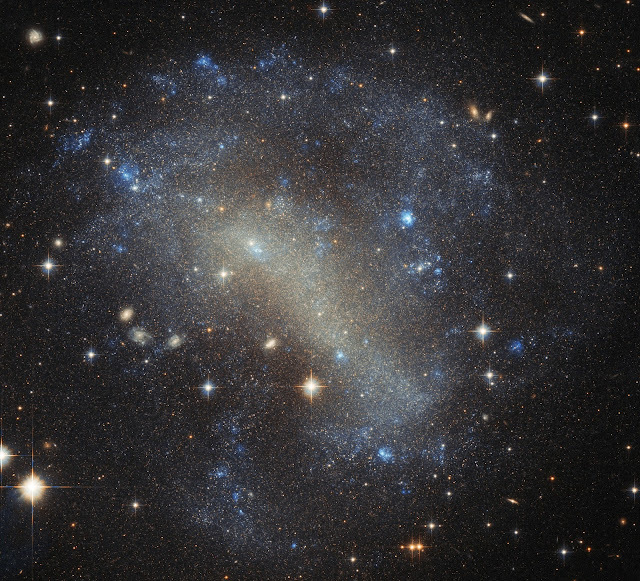 IC 4710 is a dwarf irregular galaxy. As the name suggests, such galaxies are irregular and chaotic in appearance, lacking central bulges and spiral arms — they are distinctly different from spirals or ellipticals. It is thought that irregular galaxies may once have been spirals or ellipticals, but became distorted over time through external gravitational forces during interactions or mergers with other galaxies. 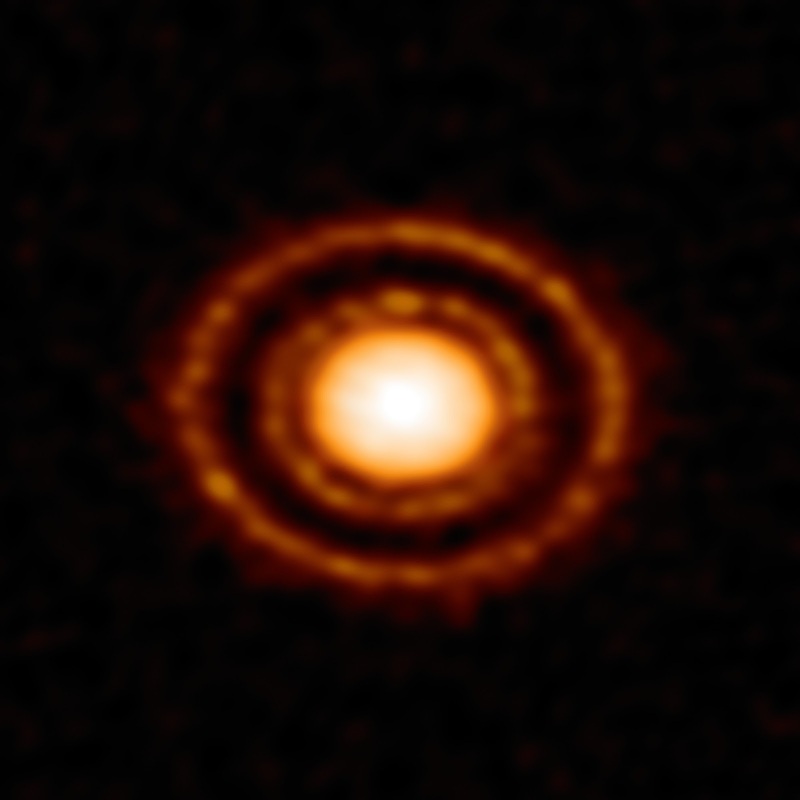 Dwarf irregulars in particular are important to our overall understanding of galactic evolution, as they are thought to be similar to the first galaxies that formed in the Universe. IC 4710 lies roughly 25 million light-years away in the southern constellation of Pavo (The Peacock). This constellation is located in the southern skies and also contains the third-brightest globular cluster in the sky, NGC 6752, the spiral galaxy NGC 6744, and six known planetary systems (including HD 181433 which is host to a super-Earth). The data used to create this image were gathered by Hubble’s Advanced Camera for Surveys (ACS).